This entry was posted on April 18, 2010 at 11:12 pm and is filed under People. You can follow any responses to this entry through the RSS 2.0 feed. You can leave a response, or trackback from your own site. Nice work on this one. Creative thinking. Thanks Ron. He wass riding his bike down a trail with bushes in front and back. 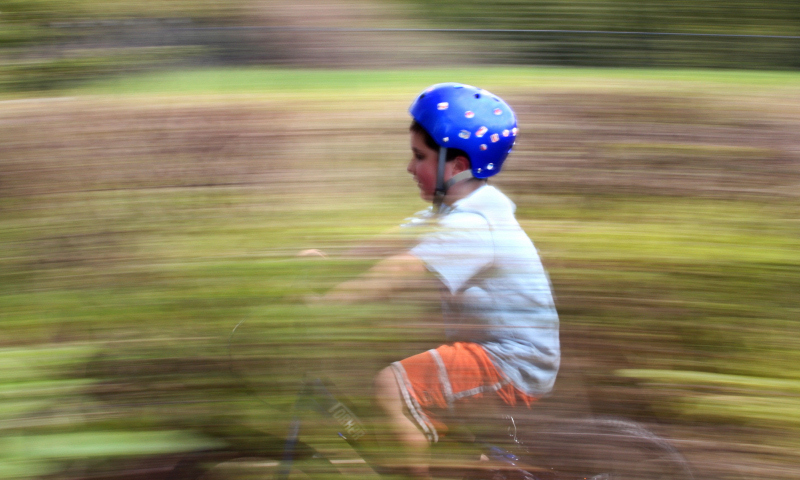 Working on my panning technique.